If, like Kimberly Schlegel Whitman, your family has a tradition of sharing what you’re thankful for around the Thanksgiving table, this tablescape is a creative way to inspire gratitude in your youngest family members. 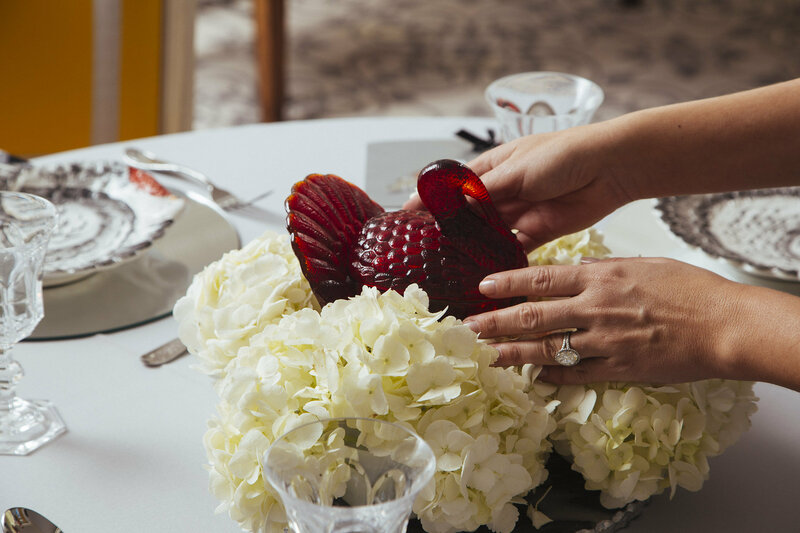 Using reflective materials as a metaphor for “reflective” conversations around the table, this Thanksgiving-themed tablescape includes a fun craft that won’t make a mess. 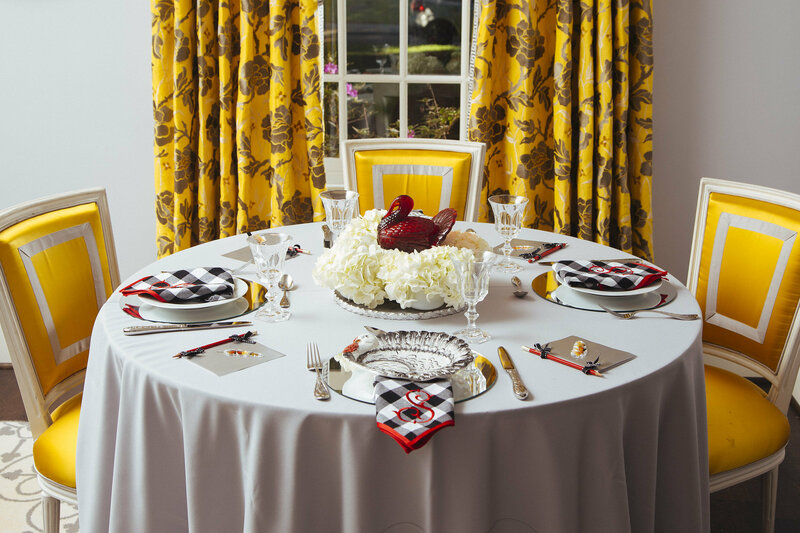 Step One: Set up your table in a location that’s easy to access from the adults’ table and arrange your table linens to your liking. 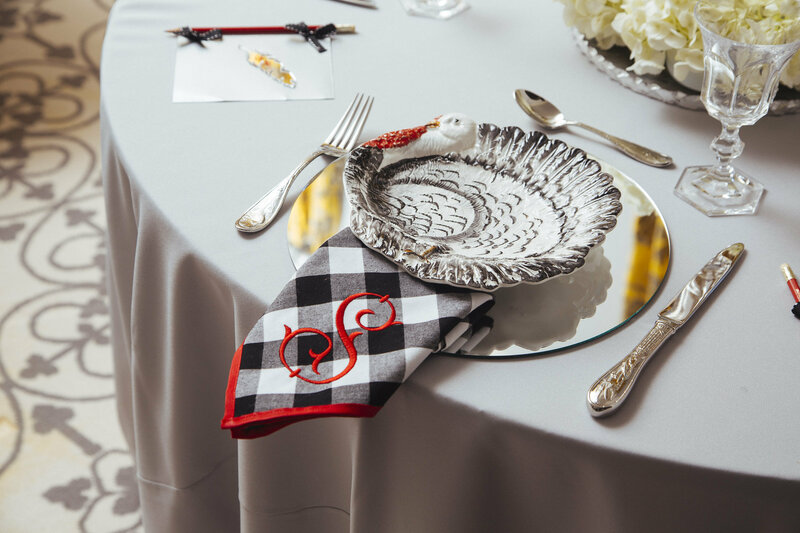 Step Two: Place a round mirror disk at each place setting—these will be each child’s charger. Set the napkin on the left side of the charger, and place the turkey plates inside each charger. Step Four: Create a gratitude journal for each child using reflective paper as the cover and red ribbon to bind white pages inside. Simply cut the reflective craft paper (Whitman found hers in the scrapbook section of the craft store) to make a cover. Place plain white or lined paper inside and punch holes where you want the spine to be. Weave the ribbon through the holes to bind the papers together, then fold. 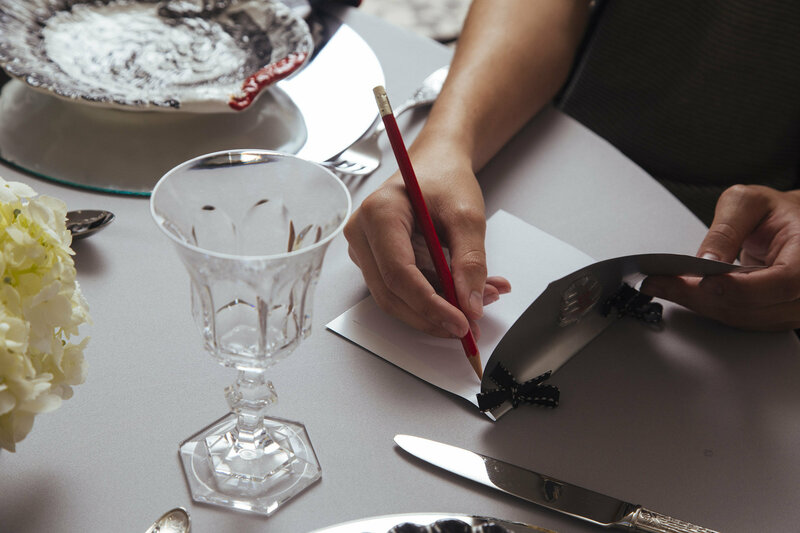 Decorate the cover with each child’s name to serve as the place card and add a personalized touch. Step Five: After the front of the journal is assembled, have the kids decorate their journal with stickers, crayons and pencils. They can draw or write what they are thankful for in the journals and share with the adults later on in the meal. It’s never too early to start planning holiday decorations for the next celebration. Learn how to create a Winter Wonderland Kids’ Table and a Gingerbread and Playful Peppermint Kids’ Table.